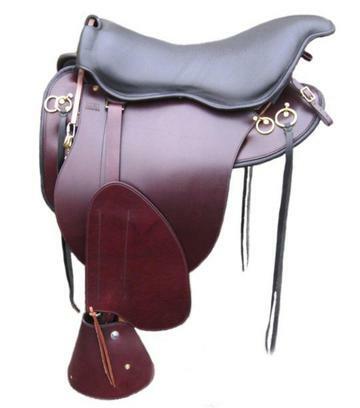 This limited edition saddle is the best M & W ever constructed. The seat is 3/4" suspended and completely smooth with extra layers of padding for the ultimate comfort. The under panels are covered in soft black calfskin leather for a very neat appearance. Extra stitching has been added for a nice look and added security throughout the saddle. The stirrups are the wooden Extra-Large Overshoe for extra room. Available in Havana with black accents only. Sizes 16" & 18".